“Microbes are always going to be one step ahead of us. Their generation time is 24 hours, ours is 30 years. They mutate, they change, they will find a way. They are amazing opportunists,” writes Dorothy Crawford, Professor of Medical Microbiology at the University of Edinburgh. 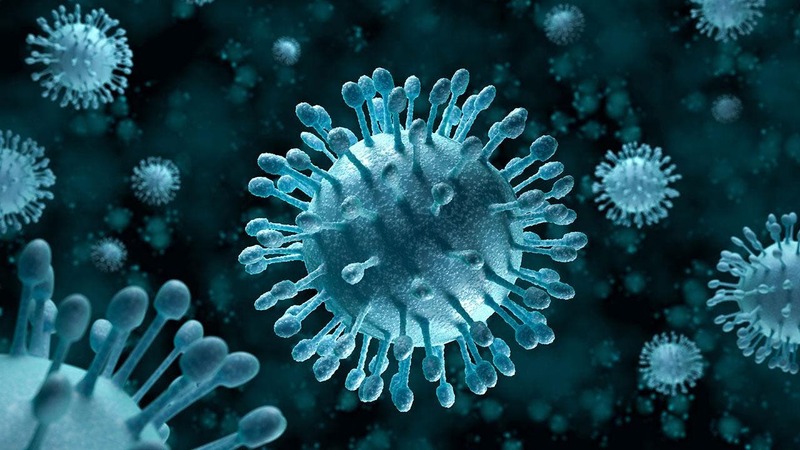 Viruses are the most abundant and one of the least understood biological entities on Earth. They might also exist in space, but as of yet scientists have done almost no research into this possibility. In their invisible, parallel world on Earth's they kill half the bacteria in the ocean every day, and invade a microbe host 10 trillion times a second around the world. There are 10 billion trillion, trillion viruses inhabiting Planet Earth, which is more stars than are in the Universe — stacked end to end, they would reach out 100 million light years. Over tens, hundreds and millions years, our ancestors have been picking up retroviruses (HIV is a retrovirus) that reproduce by taking their genetic material and inserting it into our own chromosomes. There are probably about 100,000 elements in the human genome that you can trace to a virus ancestor. They make up about 8 percent of our genome, and genes that encode proteins only make up 1.2 percent of our genome making us more virus than human. Portland State University biology professor Ken Stedman and colleagues suggest that NASA and other space agencies should be looking for viruses in liquid samples from Saturn and Jupiter's moons, and develop technology to detect viruses in ancient deposits on Earth and Mars, and determine if Earth viruses could survive in space. "More than a century has passed since the discovery of the first viruses," said Stedman. "Entering the second century of virology, we can finally start focusing beyond our own planet." Stedman argues that since there are more viruses on Earth — 10 to 100 times more than any other cellular organism — the same could be true on other planets and moons. Viruses also appear to be extremely ancient, may have been involved in the origin of life and have probably been involved in major evolutionary transitions on Earth. "With this paper, "Astrovirology: Viruses at Large in the Universe," we hope to inspire integration of virus research into astrobiology and also point out pressing unanswered questions in astrovirology, particularly regarding the detection of virus biosignatures and whether viruses could be spread extraterrestrially," Stedman said.